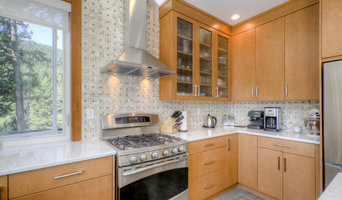 6x BEST OF HOUZZ WINNER A kitchen is the heart of any home. At Starline Cabinets we know your kitchen is more than the sum of the materials that it takes to build. Whether it be newly built or kitchen renovations, Starline’s custom kitchen cabinets are designed to turn your dream into reality. Our highly skilled team of custom cabinet manufacturers and installers can create your dream. Your kitchen is an expression of you. Our kitchen design experts, accredited builders and professional cabinet installers will make your next kitchen cabinet project a breeze. We specialize in taking your ideas and transforming them into a beautiful kitchen that you will be proud of. From concept drawings to installation we provide full-service custom kitchen and bathroom custom cabinet solutions. 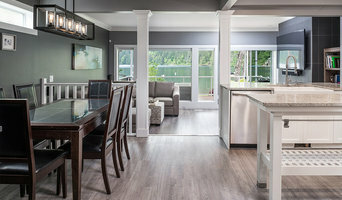 For over 20 years, we have been leading the market with new, innovative, environmentally-friendly custom cabinetry solutions for homes in Chilliwack and across the Fraser Valley. All our work is done using best practices to provide a quality product and a work-safe environment for our team members. We use optimization programs to reduce our waste, and even recycle leftover finishing materials Call us today for your free estimate, or come visit our showroom! Master Painting and Renovations is a company you can trust to take care of your entire project from start to finish. We will orchestrate your project to be handled with care, and finished in a timely manner, with the least disturbance to your life to the best of our abilities. We can do projects as small as a drywall repair, and as large as an entire home renovation. Call the office today to set up a complimentary estimate with Dave, the owner of this local Fraser Valley company. Lets get started and work together to come up with a plan that will make your current home into your dream home. Style. Innovation. Customization. Concrete is one of the most durable materials on the planet: the design variations are endless. We are proud to offer you a product of quality, durability and beauty which comes in a variety of colors. If you have an inspired design, we would love to hear from you. We can make it a reality. If you want some inspiration you have some to the right place. Besides concrete counter tops, we create a range of indoor concrete furniture including conference and kitchen tables, bedside tables, cocktail tables, accent tables, benches, beds and work stations as well as furniture to create your outdoor living retreats. Custom create is highly customizable, we can design your concrete furniture to your size and color specifications. By using integral color, staining or both, we have the ability to create a continuous use of color throughout your home. Best of all, concrete countertops are considered to be a sustainable product. Independent Interior Design Firm operating in Vancouver's lower mainland, Fraser Valley and Sea to Sky areas since 2007. Primarily working on large scale residential renovations and custom new homes. Jacqueline has a unique background for an interior designer, having worked as an estimator and a project manager with an affluent design-build company in Vancouver and the lower mainland. These skills set her apart from other designers in the area as she has first-hand experience dealing with construction schedules, on-site construction, and trades which allows her to create her documents and deliverables in such way that communicate directly and easily with the companies that will be actually building your project. H2 Design Studio has dealt closely with local suppliers and trades, and years of cultivating these relationships has placed us in a position to bring you the best prices and information for all parts of your renovation or custom build project. Jacqueline is dedicated to continuing education and actively pursues more knowledge in her field through accredited seminars, workshops and courses to ensure her clients are receiving the most up-to-date information, safety advances and technology available. Jacqueline's specialty and passion is in residential space planning, finishes selections and millwork design.